A heritage plaque was fitted to the side of the Goddard Arms to mark 200 years of freemasonry in the town.  Swindon’s first freemasons met at the High Street pub in May 1818 and the lodge, which was initially made of just 10 members, continued to meet at the Goddard Arms until 1875. 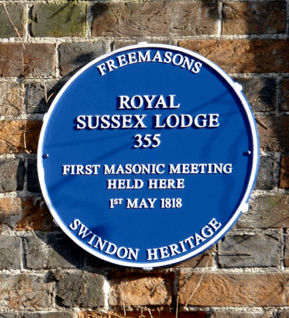 The blue plaque is important because it marks something that happened in Swindon pre-railway. Many people know Swindon as a railway town, whereas in fact people have been living 'on the hill' for a thousand years if not longer. 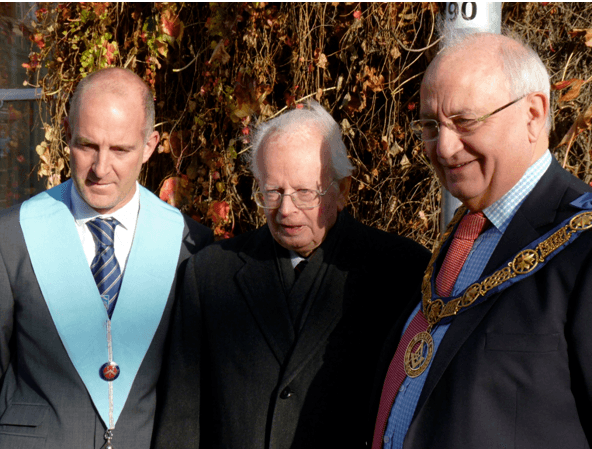 Philip was assisted in unveiling the blue plaque by Richard Goddard a member of the Lodge and a relative of the family that owned the Lawns estate for hundreds of years. RW Bro Byron Carron and W Bro Stephen Blanchard were initiated within months of each other in 1968. 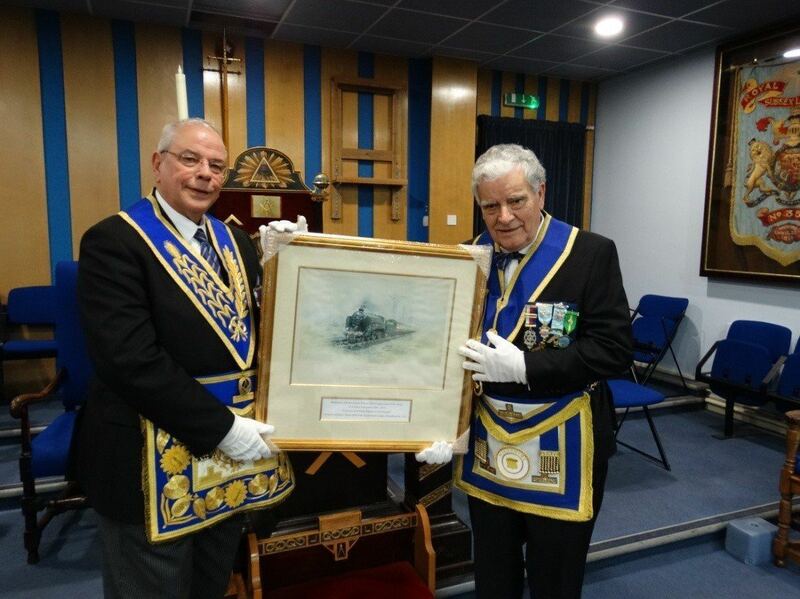 Coincidentally, Stephen's father was the Master at the time and had the pleasure of welcoming his son and Bro Carron into Freemasonry and into the Lodge. Little could W Bro Eric Blancard have known that Bro Carron would be Installed as Provincial Grand Master for Wiltshire almost 25 years later. 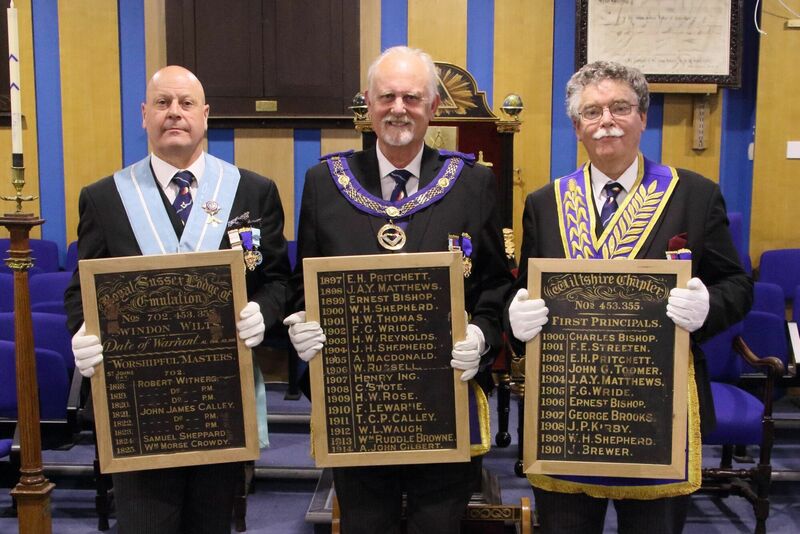 Having travelled from Swindon to Wimborne in Dorset three Honour Boards have now been returned to the safe keeping of the Royal Sussex Lodge of Emulation. 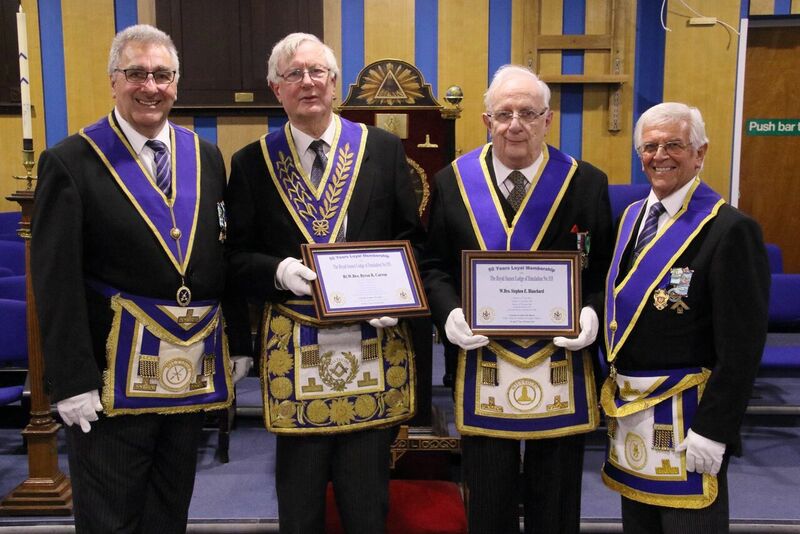 In a presentation made by members of the Province of Dorset, the history of the boards was outlined by Bro John Wain, who explained how they hade been used as ornaments in a pub before being tiled over. The boards are now safely stored at the Swindon Masonic Centre. This is a great opportunity to learn more about this important section of the Freemasons' journey. 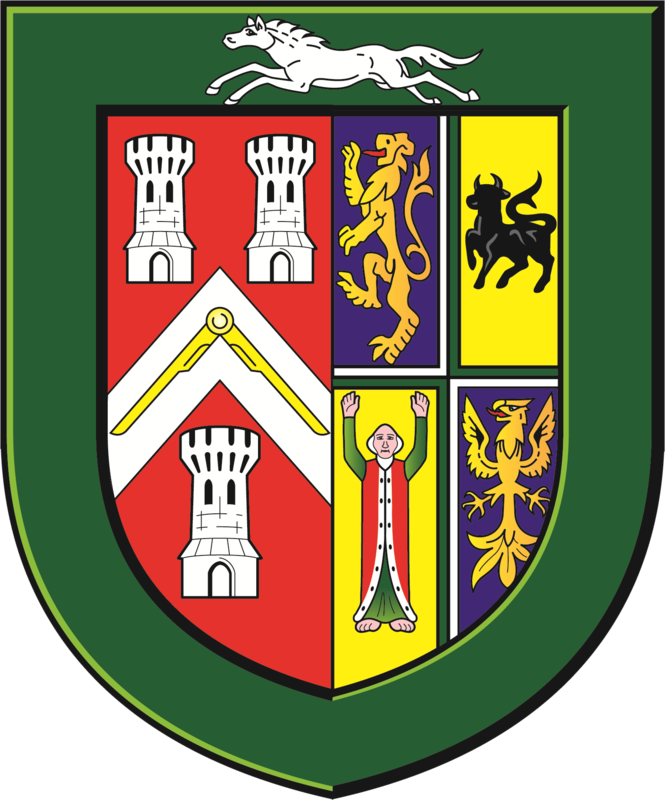 As the title of the presentation suggests, the lecture is an abridged version of the Second Degree which makes it suitable for Entered Apprentice Freemasons. If you have not yet seen the Provincial Demonstration Team 'in action' this is a must go to meeting - you will be ethralled, entertained and enlightened. Following the formal Bi-Centenary meeting the Master, Wardens and Brethren of The Royal Sussex Lodge of Emulation entertained the Past Assistant Grand Master; the Provincial Grand Master for Wiltshire and a retinue of honoured guests to luncheon at The Marriott Hotel, Pipers Way, Swindon. 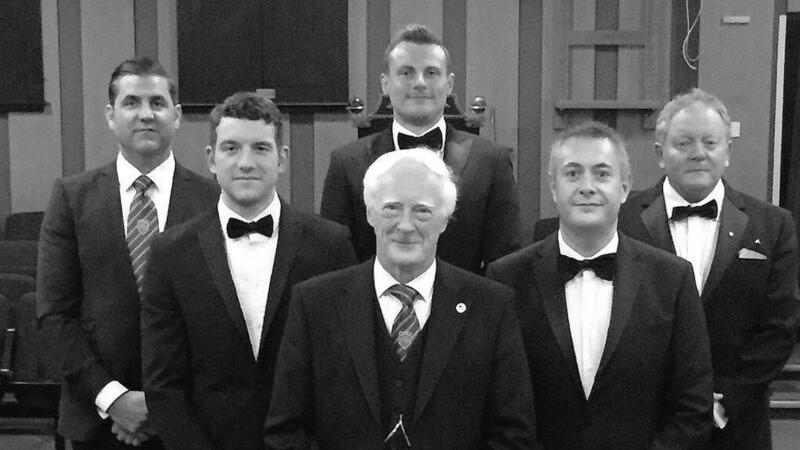 "Worshipful Master - It is with much pleasure to able to propose the toast to The Royal Sussex Lodge of Emulation. It is quite possible that founders of this Lodge could not have envisaged that 200 years from its consecration the Lodge they foundered would be celebrating so magnificently as we are today its 200th year of continuous Freemasonry. And my congratulations to the Royal Sussex Lodge of Emulation in attaining this quite splendid historical achievement and to the dedication of its current membership committed to ensuring, this fine and honourable Lodge has a positive future for years to come. This bicentenary endorses the values that appeals to those who are seeking friendship and moral guidance with the opportunities to be of service to the local communities. These enduring quality's Freemasons’ hold so dear, are as relevant today as they were in 1818 helping to ensure that it continues to give to forthcoming generations the pleasure and experience of that our predecessors, indeed as it does to our current membership. Freemasonry in order to progress has constantly evolved throughout time in order to meet the needs of its membership and the changes in society within which it co- exists. I am very optimistic with the currently pro-active approaches that can be seen both externally with how we now interface with the media and internally with the many support initiatives launched and to come. 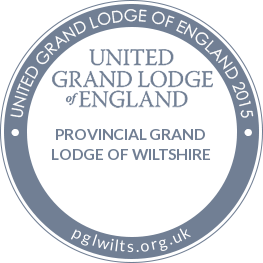 Equally, I am quite sure the Founders would be happy with the knowledge of the part this Lodge contributes to assist in making our Province one of the fastest growing Provinces in England and Wales critically attracting young men to join. The foundations laid so expertly in 1818 have most certainlyhelped to ensure the building of a structure perfect in its parts and honourable to the many builders, foundations as strong today as when they first constructed two centuries ago. If they could, I am sure the Founders would smile at the the announcement this weekend that Her Majesty the Queen has given to Prince Harry and his bride the titles Duke and Duchess of Sussex - a noble choice and a noble name. 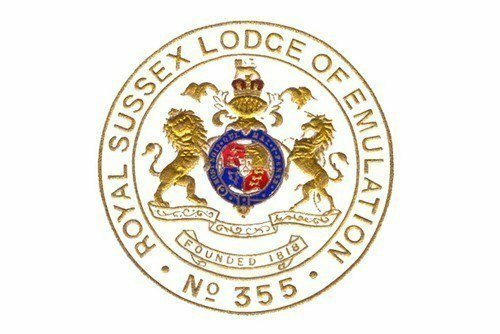 Worshipful Master and Brethren of the Royal Sussex Lodge of Emulation - I have much pleasure in proposing the toast to the continued success and vitality of this Lodge until time, and circumstance shall be no more." 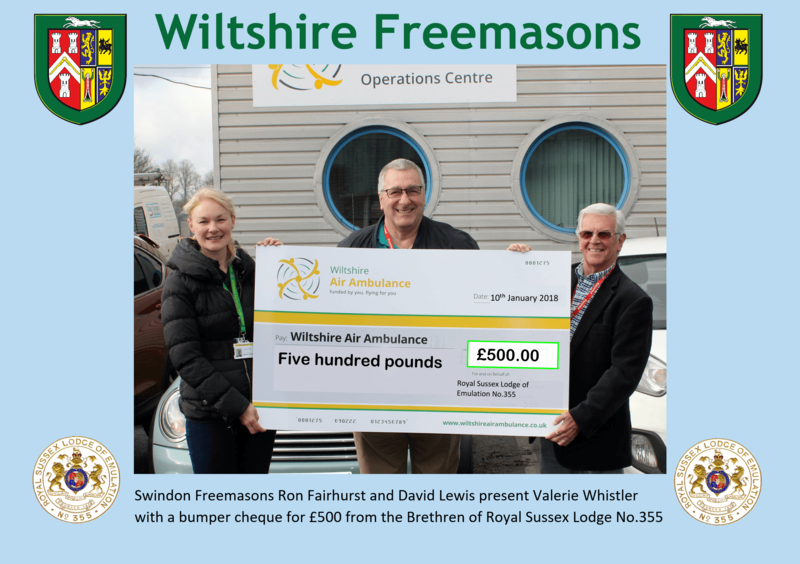 When Frank Lee a member of Royal Sussex lodge of Emulation No.355 donated a beautiful Teak Garden Seat as a prize to raise funds for Brighter Futures and the Radiotherapy Unit Appeal, he was totally unaware of how 'personal' this worthwhile cause would become. Frank’s son was diagnosed with a brain tumour which necessitated regular trips to Oxford for the specialist treatment his condition required. Frank knew that the journey was essential so he undertook the task of driving to Oxford knowing his son would receive the best clinical care from a fabulous team of doctors, technicians and nursing staff; but it was strength sapping and emotionally draining to have to make the long journey, not only for Frank and his son but also the rest of the family. The great news is that Frank’s son has been given the all clear and the long journeys to Oxford are a thing of the past, but for many families the journeys continue and a Swindon based Radiotherapy Unit will reduce the number of patients having to make the long journey to Oxford. Royal Sussex Lodge of Emulation is a wonderful supporter of the Brighter Futures Charity and decided to hold a draw for the Garden Seat. 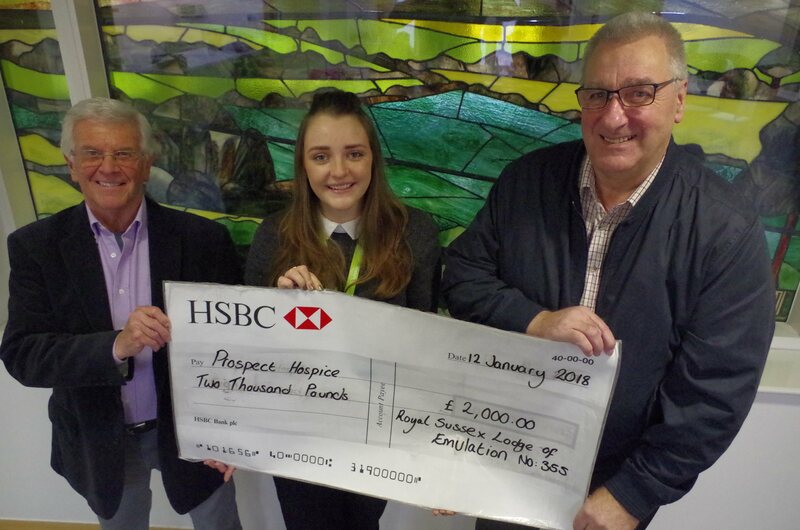 The draw was brilliantly organised by W Bro John Wain and raised a total of £510. 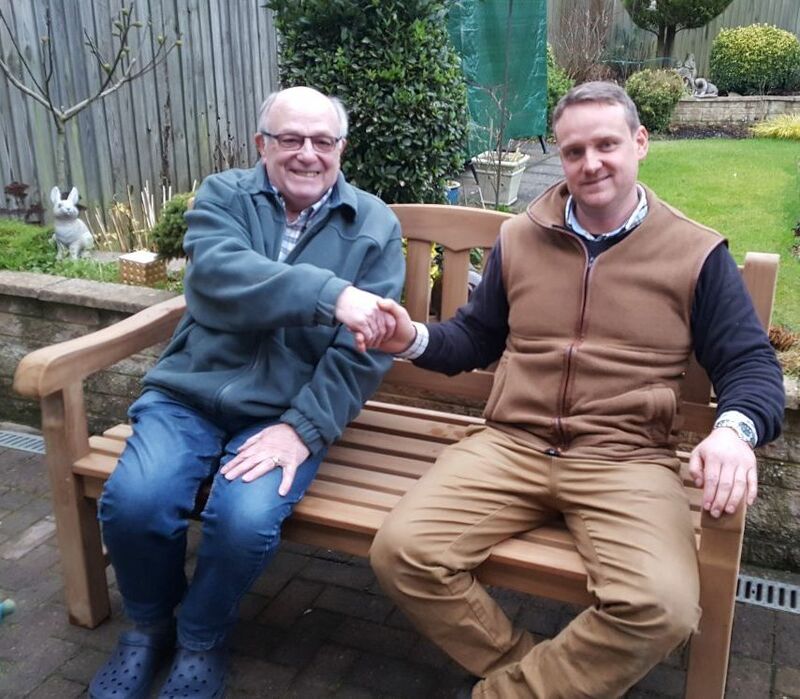 John Spranklin was the lucky winner and the picture shows John 'trying the seat' He has told the editor that together with his wife Ruth, he will spend many happy hours sat on it! When Lodge secretary David Pearson discovered a 1930s "Swan Leverless" pen with the pen's collar engraved with RoyalSussex No.355 he just had to buy it. It's filled by turning the black button at the end of the barrel and is fully functional with a nice 14ct gold nib. It was designed without a pocket clip which was not unusual in the pre-war era. It is in excellent condition. Swan pens were a good quality English product, before the ballpoint pen destroyed their business in the 1950s! All that a secretary needs. Any competition between these two railways was bound to produce only one winner and it was simply unfortunate that the Southern was always in second place; but should there be any surprise at such a result assurely the fact that the GWR was elegantly nicknamed God's Wonderful Railway imbued the organisation with a divine advantage against its smaller rival. The friendly rivalry between the two railway companies has often been the subject of much 'banter' between Bro Francis Wakem PPrGM and Bro Mike Smith PM of Royal Sussex Lodge of Emulation No.3550 To mark a cessation in hostilities (not that there ever really was any) Bro Smith presented Bro Waken with a beautiful framed print of a Southern Railways locomotive. The Royal Sussex Lodge of Emulation held their 'Christmas Lunch' at the Planks, Swindon on the 20th December. Members and their guests were well fed by the Coleshill Catering team and entertained by carols and popular songs by the marvellous Ellendune Entertainers. The event raised a magnificent sum of over £520 which will be donated to the new Radiotherapy Centre at the Great Western Hospital. Christmas Lunch for 2016 will be on Sunday 18th December and further details will follow later in the year. 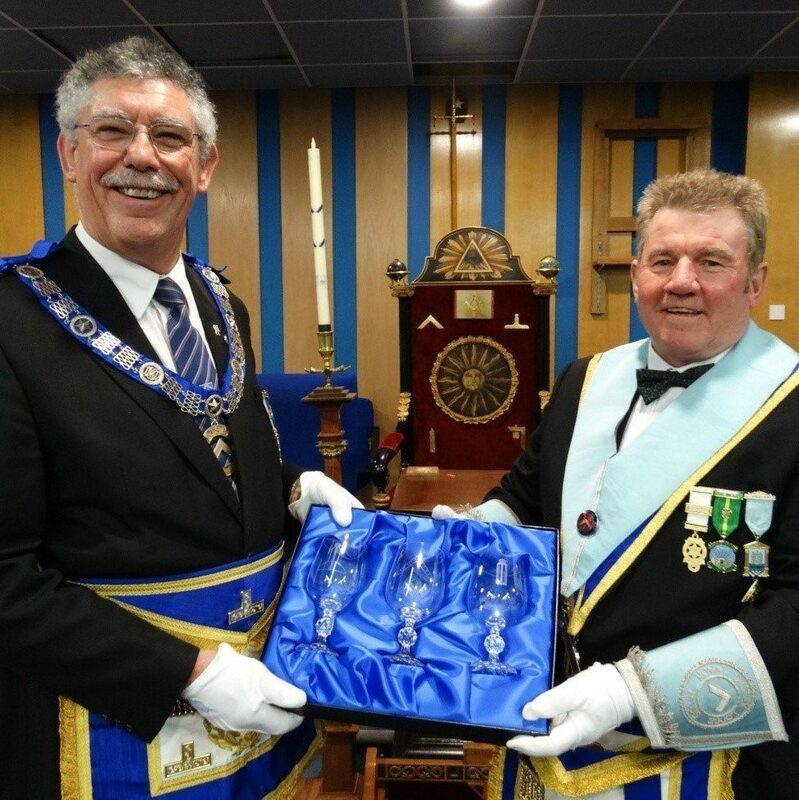 The Royal Sussex Lodge of Emulation was presented with a set of Festival glasses at their Installation Meeting held on Friday 8 January. Peter Winton - Deputy Provincial Grand Master who presided at the Installation of Bro Neil Maw was delighted to exchange the Festival glasses for a cheque which took the Lodge over the magic target figure.